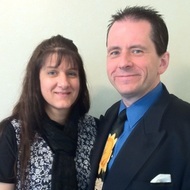 Dr. Jerry and Shannon Fowler are founders of Christian Affirmations. This is a website designed to help you achieve your purpose, goals, and dreams by speaking Affirmations. Dr. Jerry grew up with many disadvantages. He struggled in school, was from a single-parent home, and was in dire poverty for most of his younger life. His life began to change when he gave his heart to Jesus and read the entire Bible. He began to discover the many Promises and Blessings in the Bible. Dr. Jerry and Shannon learned to speak Victory as they learned the Power of speaking God's Word. There are many of God's Promises in the Bible that will encourage and bless you. When you learn to SPEAK them, and believe them, it can totally change your life. God has never BROKEN any Promise He has SPOKEN. Affirmations will help to build your hope and faith. They will give you encouragement. The Bible says "Death and life are in the power of the tongue (Proverbs 18:21)." Speaking Christian Affirmations every day will help to bring you the abundant life. We hope and pray that you are blessed with Christian Affirmations!